Don't forget this month we have a great giveaway on the blog! A fabulous prize worth over $150 is up for grabs. 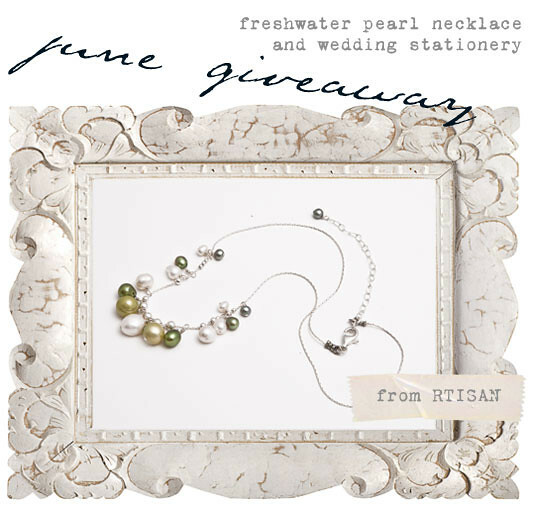 This beautiful freshwater pearl necklace from RTISAN and a wedding stationery voucher from 'i do' it yourself. Simply visit RTISAN's lovely etsy shop here, take a look around, and leave a comment on the previous post here telling us what your favourite RTISAN item is. Entries close 10th on July.